This article is 3040 days old. Raising money for a local fundraiser, two women are hoping for the breast. No that’s not a typo, Anne Campeau (43) and Nikkole Krieger-Campeau (50) have entered the Breast Ride Ever into the Pepsi Refresh challenge, a competition where Pepsi donates cash to a cause with the most votes. The inaugural event took place on July 10, 2010, and was inspired by the co-founders’ personal experiences. Starting at Tecumseh’s Riverside Park, The escorted four-hour scenic ride took 121 participants around Windsor-Essex county. Upon completion, they returned to the park for entertainment by Juno award winning blues artist, Rita Chiarelli. Volunteers, sponsors, donors and participants raised $10,000 and on November 24, a cheque was given to the Windsor & Essex County Cancer Centre: Money donated will benefit the Seeds4Hope cancer research project and purchase of a Faxitron Xray machine. The presentation also marked the release of a video documenting the 2010 ride, filmed by Gavin Michael Booth. 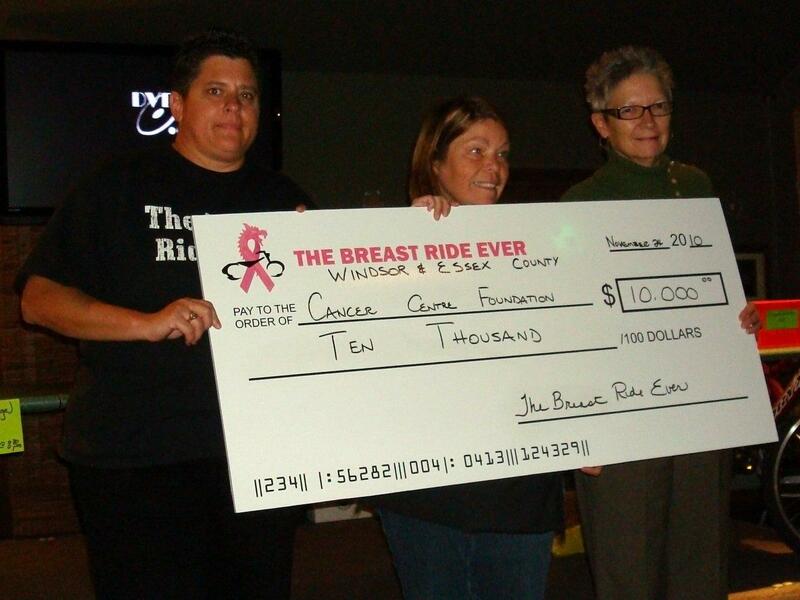 Proceeds from the 2011 event will be donated to the Windsor and Essex County Cancer Centre Foundation and Hospice of Windsor. Krieger-Campeau hopes entering the Pepsi Refresh challenge will help the cause in many ways. The Breast Ride Ever 2011 will take place on July 29. For more information on the event and other fundraisers, readers can visit their website. To vote for the Breast Ride Ever in the Pepsi Refresh challenge, click here.